Gabriella Masini: She's a woman haunted by her past, with the scars to prove it. She believes that fairy tales are for other people. 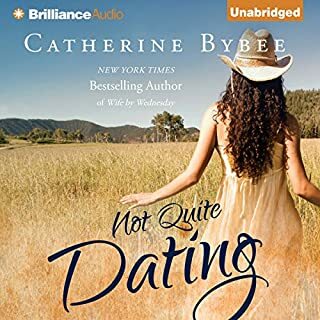 An elite matchmaker at Alliance, she's great at crunching numbers, but something doesn't add up with her latest prospective client: a billionaire bad boy with his own secrets. When Gabi refuses to be his temporary wife, Hunter forces her hand with an offer she can't refuse. But marriage to a man like that could never last...or could it? Hunter Blackwell: Only his bank account is bigger than his ruthless ability to obtain anything he wants. These days, he has a secret reason to settle down, at least for a while - and he thinks the sensual and sassy Gabi will fit the bill perfectly. 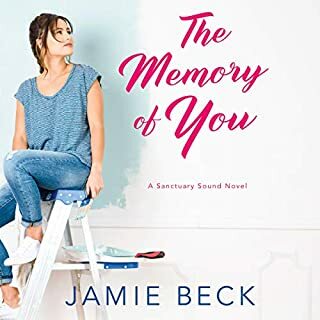 But when their marriage of convenience becomes downright dangerous, Hunter must decide how far to take his vow to honor and protect Gabi forever. This is the last full length book of the series and its conclusion. Bybee developed a series of romance, tension and intrigue. When you evaluate a series you want superior character development woven with interesting plot developments that link within an overall environment. The author achieves success on all accounts. This series will appeal to romance/thriller readers of adult age. Her dialog fits nicely into the story and I enjoyed the repartee. Some of the settings and the backstory has been done and overused in many books, but that will not detract from your overall enjoyment. The narrator, Eby, does an outstanding performance. I recommend the entire series. Enjoyed the audiobook. I like when they have the same narrator for the whole series. My only issue was that characters in the first book that didn't have accents did at the end of the series, and characters that had accents in the sixth book didn't in the last. So many times in series you can tell the author should have ended it 2 to 3 books ago. The writings appear forced and lacks the luster of the original book. This series is the exception. you can tell that the author put effort and heart into writing the final book. She did not take us readers for granted as so many of us avid readers will finish the series despite the fact that the series went south books ago. It was entertaining. The chemistry between Hunter and Gabby was delightful and the journey to love was a pleasure read. i dont normally give 5 stars. Favorite book in the series. I immediately read it again for the enjoyment. This series of books were fantastic! 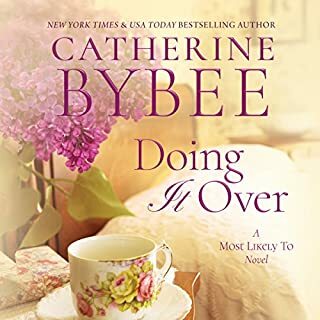 I love Catherine Bybee's books. Listened to the books on audible . Awesome!! Fantastic series! If you love romance, suspense and excitement with happy endings, then you will love this series! This is a great series the main characters in each book have completely different personalities and situations, instead of the same basic storyline being rehashed over and over. Although it is a romance series, all the romantic scenes could be removed and great stories that could keep me reading would remain. I love the series but only wish the characters accents were held throughout. Gabbys Italian accent would have made this so much better. I listened or read every book in this series and loved every one of them start to finish. Audio Book on Android sounds drunk! What disappointed you about Treasured by Thursday? The story itself is great. 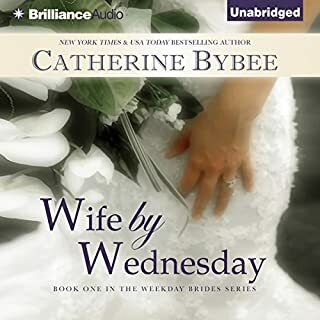 I have read all of Catherine Bybee's Weekday Brides series. However, the audio book sounds awful! The sample on the website sounds fine, but when I try to listen to it on my phone, the narrator sounds absolutely wasted! It's impossible to understand and it's read so slow that I can't even be bothered to try to listen to it! 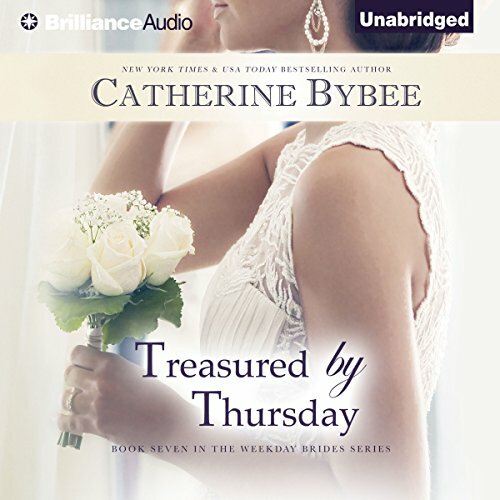 I love all of Catherine Bybee's Weekday Brides series! Who might you have cast as narrator instead of Tanya Eby? Someone who doesn't sound drunk! I don't understand what is going on. I have read (or listened to) most of this series but did not read the previous book to this one where the h was first introduced. This did not matter too much as what happened to her was well explained and this book can be read as a stand alone. It does feature many of the characters in the previous books but their relevance is easy to follow. Following the “fake marriage” theme of the series, this is about the h, still recovering from the abuse and criminal activities of her late husband, who is blackmailed into marriage by H who needs a wife to support his child custody battle – for a child that is not his! Don’t worry, it does make sense eventually. The H is, naturally, obscenely wealthy and powerful, and used to getting what he wants, but although the monetary figures bandied around did make my head spin a bit, what makes this book really good is his slow and fairly reluctant journey into realising that he is actually head over heels in love. He actually falls in love with the h pretty quickly, but does not recognise the symptoms, or know what to do with them. What is really enjoyable in this book is his sheer bafflement at how the h has worked her way into being such an important part of his life, and his bemusement at how she has changed his outlook on life without him being consciously able to resist. There is some great witty banter between them, and the h is by no means intimidated or dominated by the power or wealth of the H.
There is well written plot revolving around the h’s dead husband and his drug money laundering involving accounts in her name, running alongside the story of the H’s twin brother trying to blackmail him with a paternity suit. Both stories come together for a great plot climax and it was good to see that being a successful and wealthy businessman did not also make H a superhero, and he sensibly left the covert rescue tactics to the experts! In fact I laughed out loud when he was leaping over a fence on the way to deliver the ransom demand for his wife and the thought crossed his mind that he really needed more time at the gym. 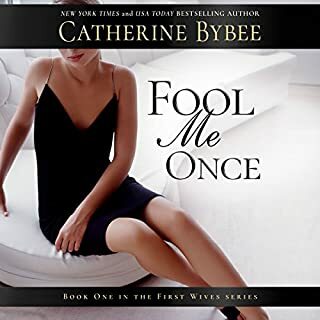 Catherine Bybee has done a great job with this book and credit must also go to the narrator, Tanya Eby, who is excellent, as usual.